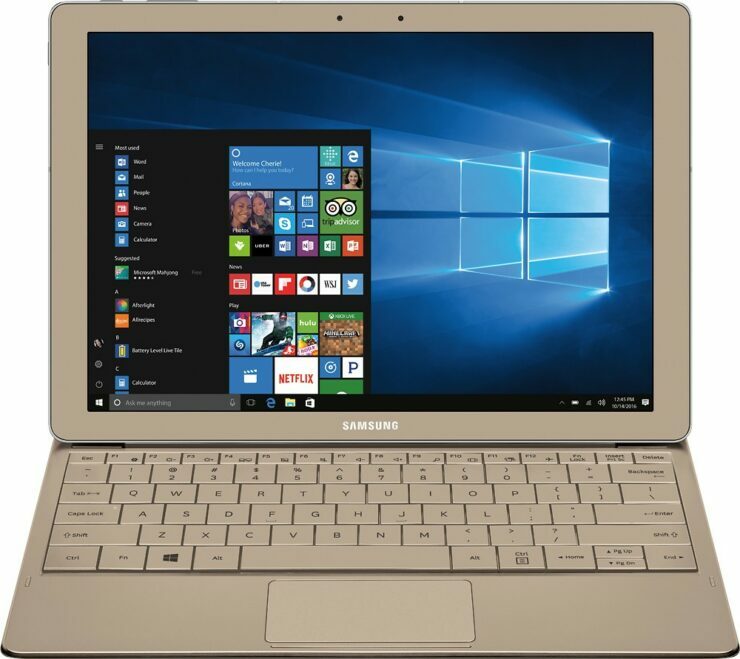 Samsung could very well be announcing its Galaxy TabPro S2 at MWC 2017, and it is going to be no pushover when it comes to performance from a machine present in a category of machines that bolster this much portability. 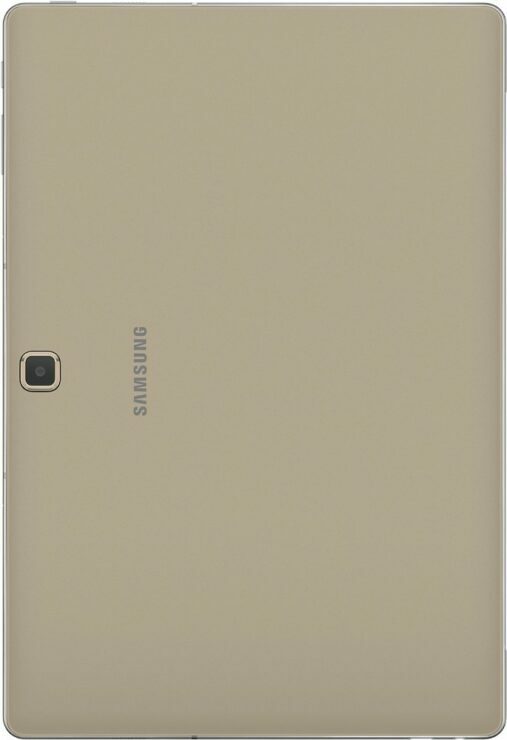 Specification leaks have pointed out that the 2-in-1 will be running an Intel Kaby Lake ‘U’ chip that’s designed to deliver more performance than the Core M variants, which is possibly why the previous generation Galaxy Tab S could be going at a fair discount right now. The previous generation hybrid is available at Best Buy for a decent price slash, if you wanted portability and a fair amount of battery life. This previous generation machine features a 12-inch AMOLED display, delivering more brightness and vivid colors when pitted against IPS LCD panels. 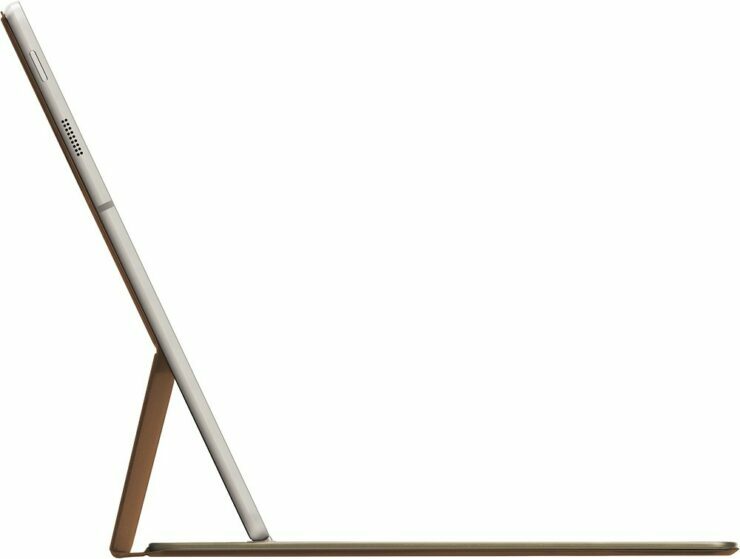 Samsung being a pioneer of such displays would definitely include such an addition in the 2-in-1. For $899, the 2-in-1 also features a Core M3 Skylake processor, which due to its efficiency will be able to deliver a substantial amount of battery life, but might not be able to deliver the much-needed performance from a Windows 10-powered 2-in-1. However, light tasks ranging from web browsing, video streaming, and others can comfortably be carried out on this device. 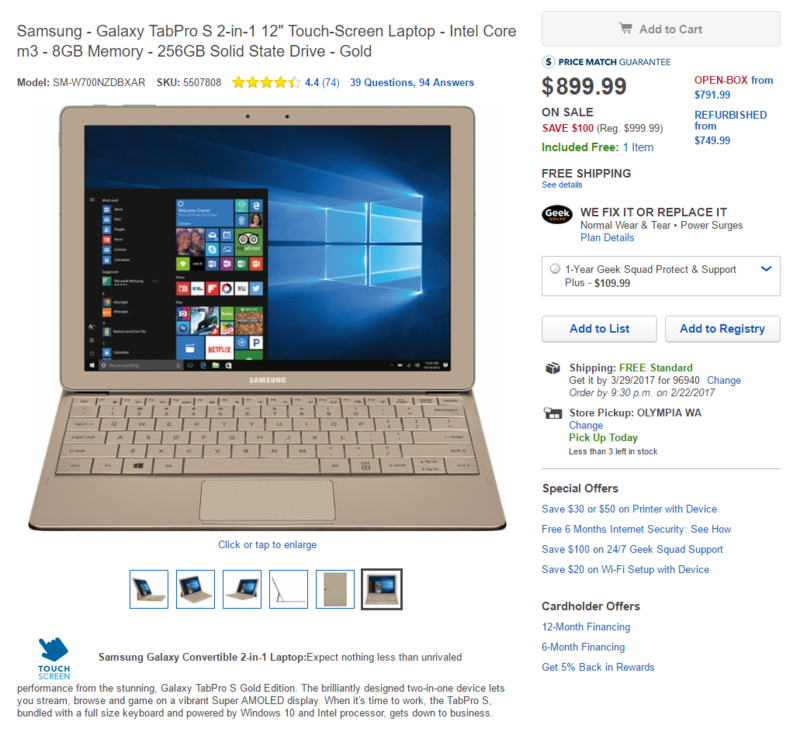 If the $899 price tag (original price tag is $999) is still too steep, Best Buy is also offering a refurbished Galaxy TabPro S, where the machine is retailing for $749. 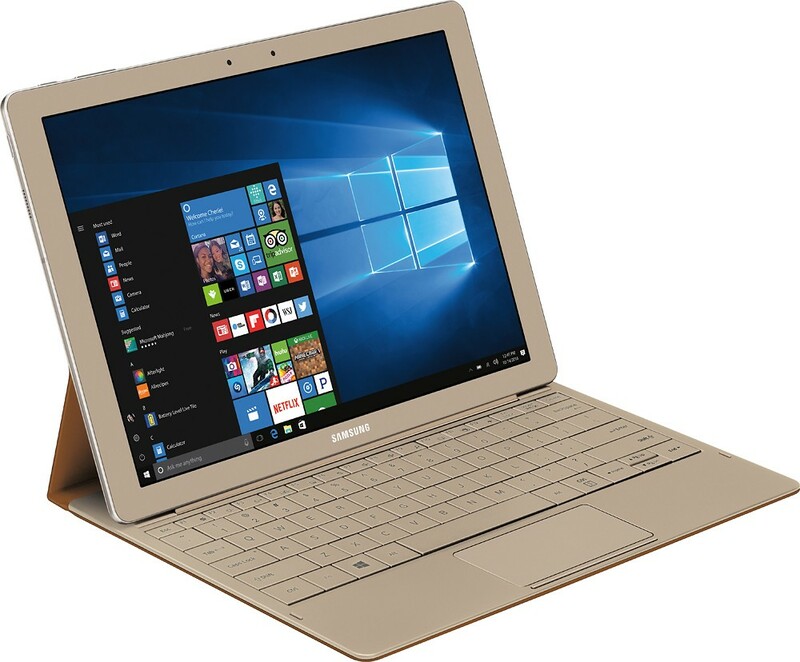 The Windows 10-powered 2-in-1 also gives the user 256GB of flash storage coupled with 8GB of RAM and a premium gold finish that is in line with Samsung’s other expensive offerings. 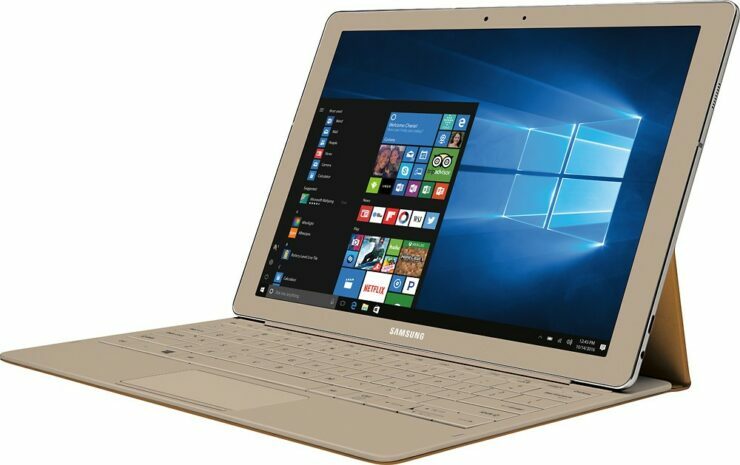 Since Galaxy TabPro S is also short when it comes to ports to provide a thin form factor to consumers, so you can spend the available funds that you got from the discount on the Galaxy TabPro S multiport adapter, which will give you access to several ports such as a Type-C USB, HDMI, and USB-A port. 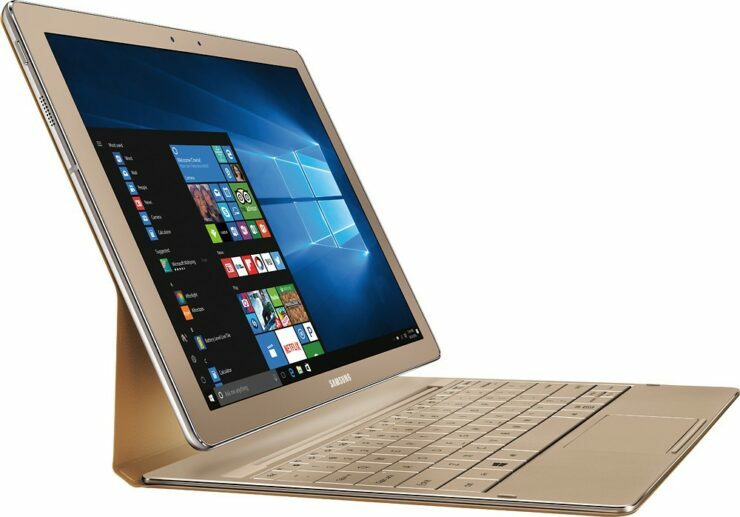 Do you think purchasing the Galaxy TabPro S will be a good idea at this point? Let us know your thoughts right away.